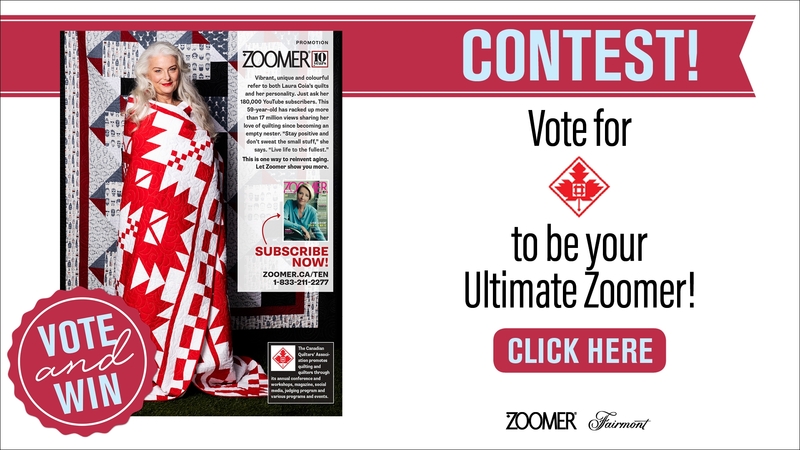 Until March 1st, you have the opportunity to vote for your Ultimate Zoomer Laura Coia! Laura is one of our Quilt Canada teachers and is representing the Canadian Quilters’ Association and our national quilting community! Voters can win a two-night hotel stay, including breakfast for two, at select Fairmonts around the world, plus a $200 Visa gift card. Watch the video on ultimatezoomer.com and check out the other nominees on the nomination page. You will see, it’s a beautiful gallery of inspiring Canadians!